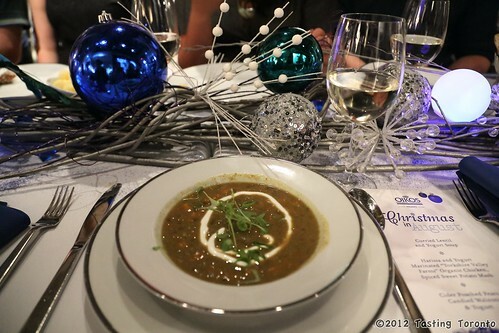 Christmas came early to the Thompson Landry Cooperage Gallery in the Distillery District with a holiday themed three-course meal by Celebrity Chef Rob Rossi, Top Chef Canada, Season One finalist, restaurateur and Chef of Bestellen. 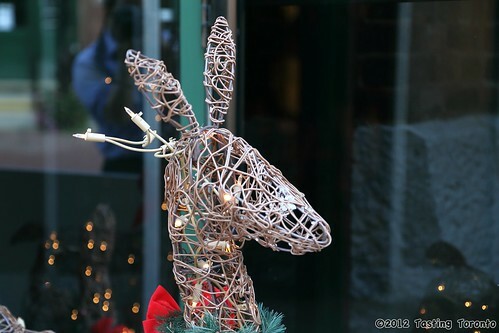 Michelle Mawby, interior design expert on The Marilyn Denis Show, and founder of Lucid Interior Design Inc., furnished the Christmas themed decor. 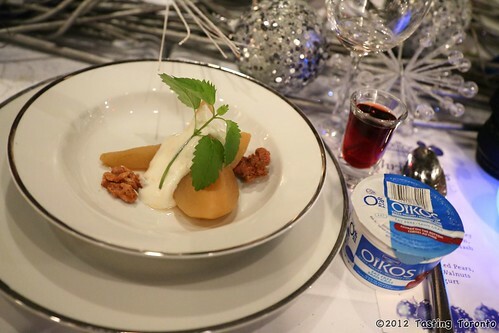 Chef Rossi used Oikos Greek Yogurt to add a new twist to a traditional holiday meal. 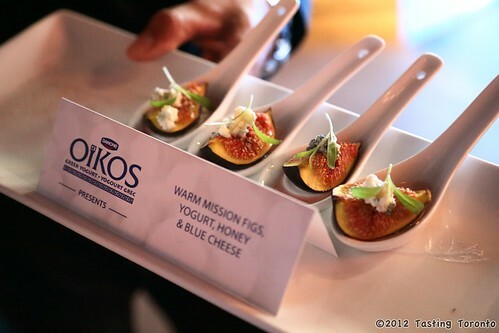 As you can see, Oikos Greek Yogurt can be quite a versatile cooking ingredient, not to mention a tasty and nutritious snack. If you want to learn about fun things to do in Toronto, see Toronto Smarts. Learn about places to visit in Toronto, get concert information and sports info like when the Blue Jays play the Red Sox. On an imported slab of heat-retention stone from Australia, you cook your own meal. Looks like fun! However it might be more about the experience than anything else - we heard some not-so-good reviews from a friend recently. We'll try anything once though! Heard a lot about Roger Mooking's restaurants - think we're more obsessed with going there because of the fact that he used to be in Bass is Base! 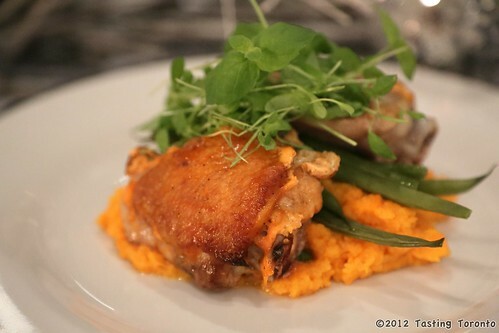 Jamie Kennedy's stuff is usually pretty good so we want to try it. This place is trendy, so some people go there for that reason alone, but we'd be heading there to see what "Japanese tapas" is all about.